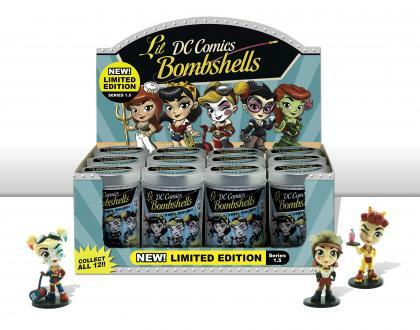 Lake Forest-based Cryptozoic Entertainment, in partner with Warner Bros. recently announced the release of DC Comics Lil’ Bombshells Series 1.5 vinyl figures. The figures include: Wonder Woman, Harley Quinn, Batwoman, and more of DC’s female Super Heroes and Super-Villains. The vinyl figures can be found at retailers nationwide and for a suggested retail price of $9.99 per figure.